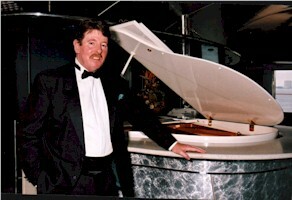 Patrick J. Patton is one of those rare entertainers, a real "all rounder" ,encompassing Piano, Piano vocals and Keyboard Vocal Entertainer. 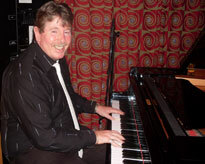 Born in the town of Strabane , Northern Ireland, Patrick attended piano lessons and actually learnt to enjoy them. He cut his musical teeth in the 1960's accompanying local "stars" in "local bars", playing summer seasons in Donegal and joining a local rock band. He moved to London in the early 1970's seeking fame and fortune. Finding neither, he still had fun on the search. 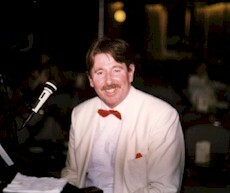 Over the last 10 years Patrick has performed mostly in International Hotels and on Cruise ships, most notably the QE2. As well as his normal mixed repetoire of standards and classic pop, Patrick can also, at the drop of a hat, mount a theme night ranging from "The Standards" / "The Fifties " / "The Sixties" / "The Seventies" to "Country & Western" , "The Beatles" and of course "Irish Night Out"
TOP OF THE DAY TO YOU ALL !! !